You can feel comfortable bringing in your household goods to Done Rite Cleaners for cleaning. 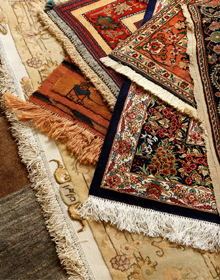 Our state-of-the-art equipment and service can take care of your cleaning for rugs, pillows, blankets and comforters. Trust in our over 28 years of experience to get any stain out of your favorite household item. By choosing to work with our locally owned and operated company, you are not only benefitting from our service but your community's economy is as well.